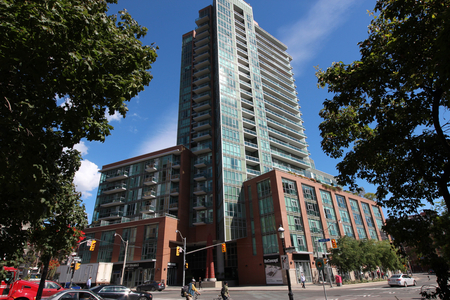 Built in 2000 by Camrost - Felcorp, The New Times Square Condos stands 12 storeys high with 372 suites. 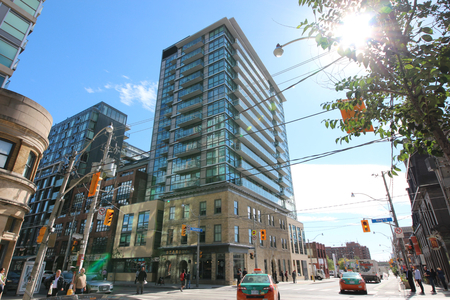 Conveniently located in Moss Park at George Street South and Front Street East, The New Times Square Condos is at 109 Front Street East, Toronto. Click here for Real-Time listings, floor plans, amenities, prices for sale and rent in The New Times Square Condos, updated daily.